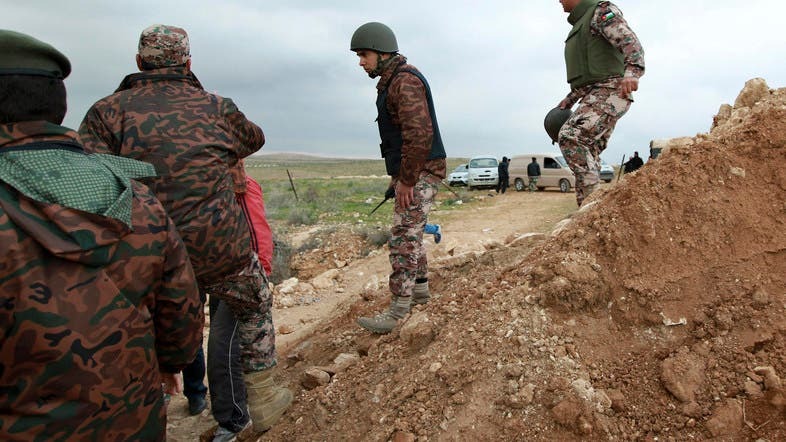 Jordanian border guards on Sunday clashed with and arrested four people as they tried to enter the country illegally from war-torn Syria, the army said. The army also said three other people "who are members of groups fighting in Syria have voluntarily handed themselves over to the border guards." Hundreds of Jordanian jihadists fight alongside rebel forces in Syria. Separately, the army said four people were wounded in a clash and arrested after attempting to infiltrate from Syria. "The border guards clashed with them after the group failed to heed the warnings," it added. "They were hurt in the clashes... They are being hospitalized." Syria has regularly accused Jordan of assisting rebels fighting government forces. But Amman denies the accusations, saying it has tightened control of the border and jailed dozens convicted of trying to cross the border illegally.